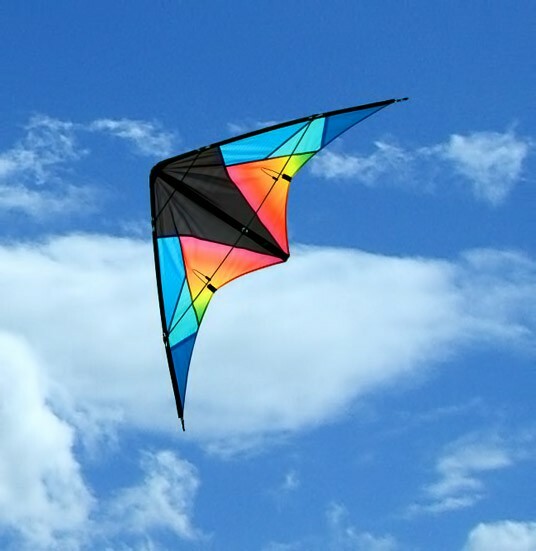 These HQ entry-level kites are noted primarily for their sturdy design. They are sewn from light and strong Ripstop Nylon and the rods are made of almost unbreakable carbon-fiberglass hybrid. The setup is simple and the flying properties are extremely docile. They can be flown reliably even by beginners in a wide wind range. The drag forces are moderate, but solid – the flying speed doesn’t overpower the pilot. It can be further reduced by adding on a tube tail. With a little practice, the Quickstep II can master simple tricks.